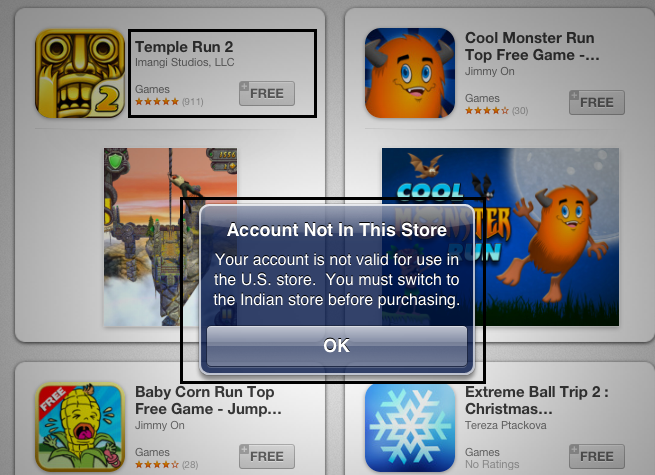 Account Not in This Store: Your account is not valid for use in the U.S. Store. You must switch to Indian Store before purchasing. Your account is not valid for use in the U.S. Store. You must switch to Lithuanian Store before purchasing. Your account is not valid for use in the U.S. Store. You must switch to Singapore Store before purchasing. Your account is not valid for use in the U.S. Store. You must switch to Turkish Store before purchasing. Your account is not valid for use in the U.S. Store. You must switch to Australian Store before purchasing. Go to the Featured Section in the Apple App Store in your device, like the iPhone, iPad, iPad Mini or the iPod Touch and there you need to scroll to the bottom where your Apple ID is shown along with the other details. Click on your Apple ID. 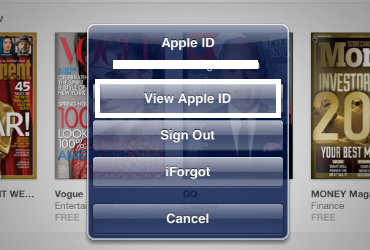 Once you open your Apple ID, there would be a popup of options, including the View Apple ID, Signout and iForgot, in which you need to click the first option – View Apple ID. After you hit the above option, the App Store would ask you to enter the Password for your Apple account, for the confirmation and authentication and after entering the password, you would be able to view the details, and only then the store would realize that you are being directed to the wrong store till now, and it would direct you to the particular store which earlier it was asking you to switch to. 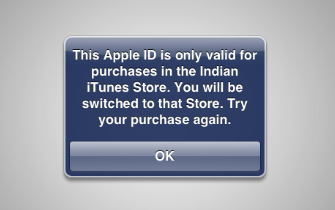 The message would read: This Apple ID is only valid for purchases in the Indian iTunes Store. You will be switched to that store. Try your purchase again. Once you are redirected to the correct store, you can now purchase or download the apps using the same Apple ID. 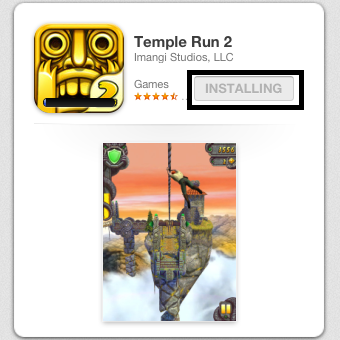 As you can see, the error which was earlier there next to the Temple Run 2 game, is now gone and you can see the game installing after the iTunes App Store was switched.